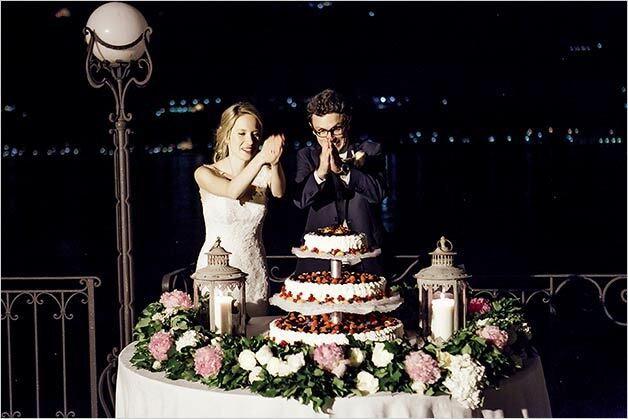 any couples ask us: what is the traditional Italian wedding cake? 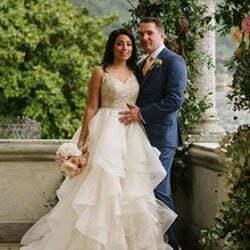 Couples who decide to tie the knot in Italy are usually happy to include some Italian touches to their big day and an Italian wedding cake is one of these. 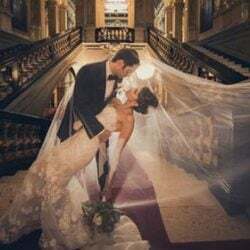 An Italian wedding cake is made of a single tier, it be round, square, rectangular or heart shaped but always one tier. 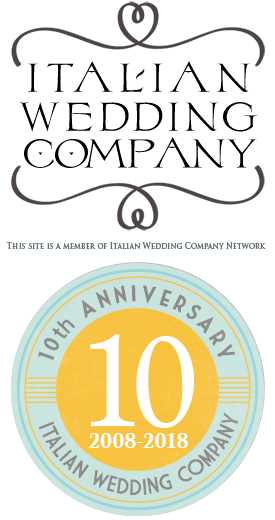 But when it comes to the taste… you can experience a wonderful variety of flavour and Italian taste! 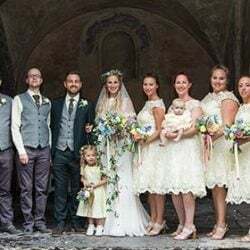 One of the most popular Italian wedding cake is called Millefoglie. 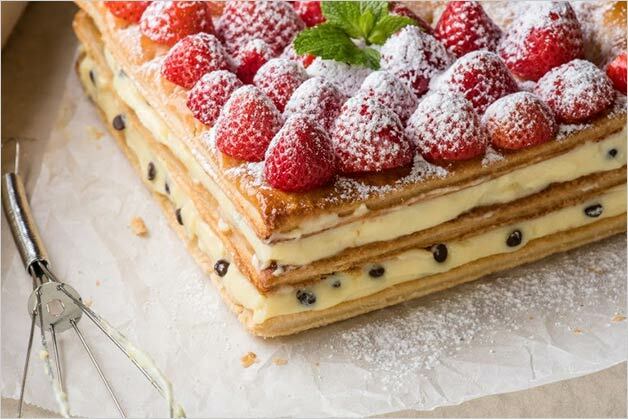 Millefoglie comes from French millefeuille and it is essentially made of layers of flaky, crispy pastry dough finished with whipping cream outside. Millefoglie should be very crisp to be good. 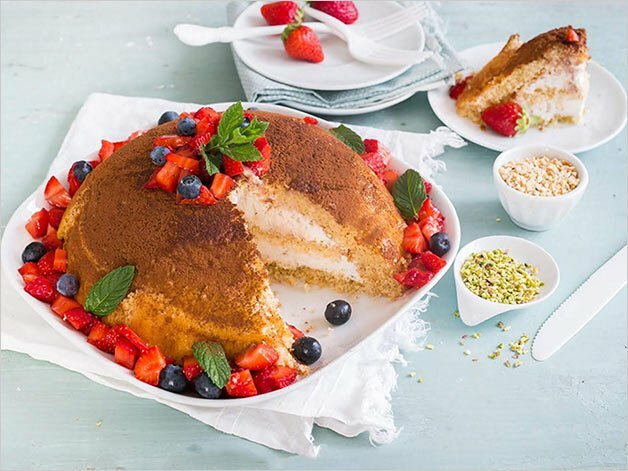 It is constructed with alternating layers of millefoglie pastry followed by a choice of your favorite fillings, like pastry cream, whipping cream, chocolate, lemon curd, fresh berries and fresh strawberries etc. 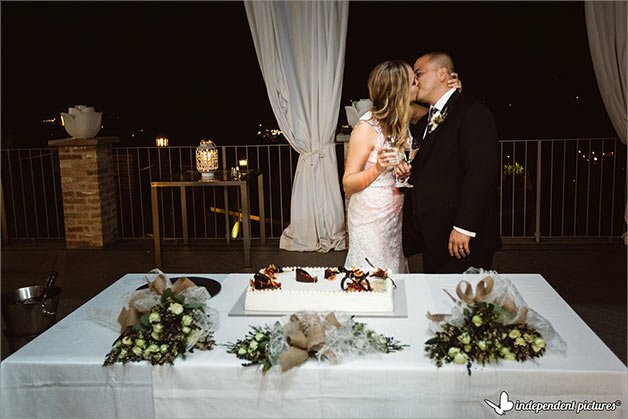 To note before choosing millefoglie as wedding cake: is not very easy to cut into, and so it takes a bit more time to serve compared to the sponge cake. 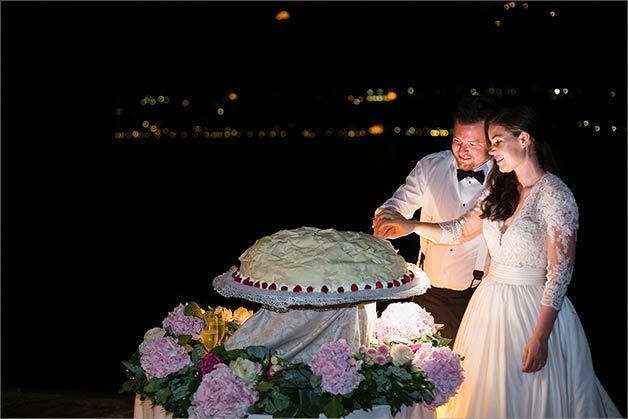 Another famous Italian wedding cake is Crostata di frutta. A crostata di frutta it is basically a fruit tart. It is covered of fresh seasonal fruits. 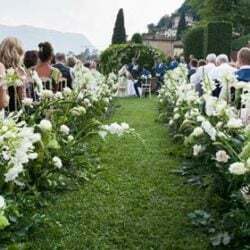 So if you get married in Spring expect lots of strawberries, blueberries, black berries and raspberries. Where as if you get married in Fall you may find pears, apples, kiwis, pineapples and orange wedges on it. 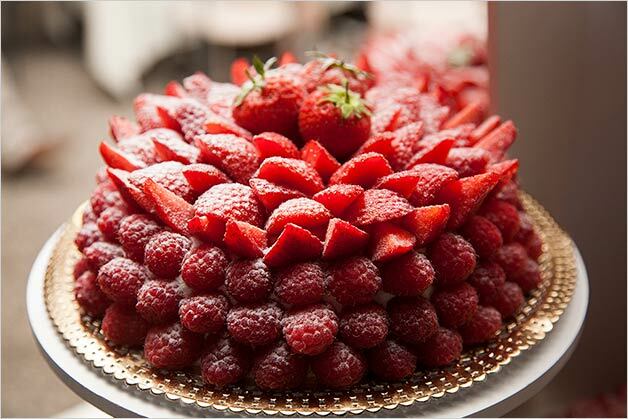 Underneath fruits there is a pastry cream or chantilly cream filling and supporting the entire cake. Cake’s crust is quite firm. This cake looks great on a cake tired stand where you can display different cakes from smallest at top to largest at the bottom. It is a very light dessert that does not weigh you down. 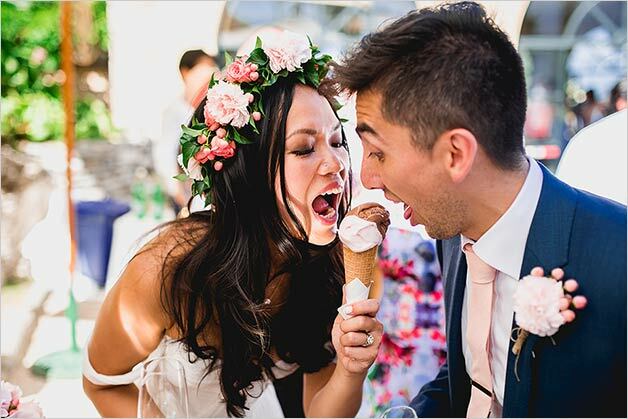 Although delicious any time of the year, it is suits more Summer wedding. 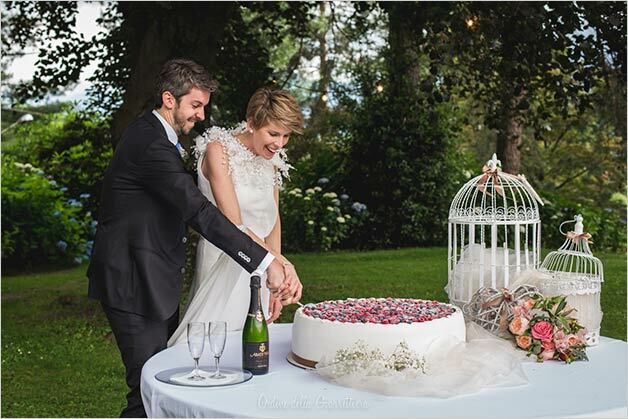 Here comes one of my favorite Italian wedding cake: Mimosa. 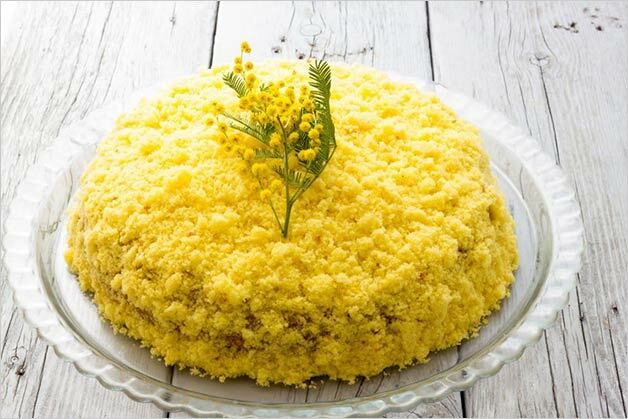 Mimosa is a simple sponge cake stuffed with whipped cream and decorated with sponge crumbs from the cake itself to obtain a mimosa flower effect. Modern versions of Mimosa cake add fruits to tast i.e. pineapple. Pineapple is perfect because it gives lightness and freshness to an otherwise slightly plain cake. Fregolotta is a Venetian cake. It is simple and tasty. 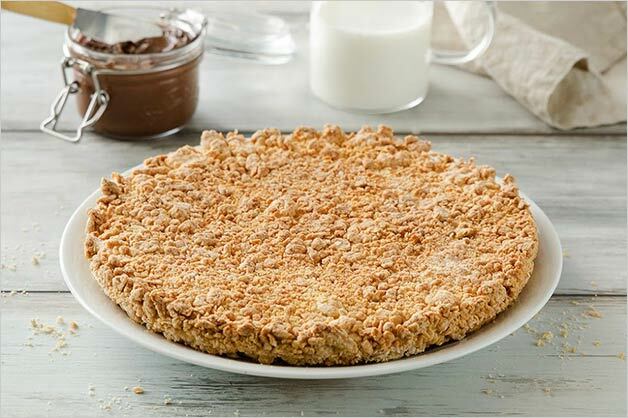 It is made of fresh cream and almonds that will be surely appreciated by your guests. 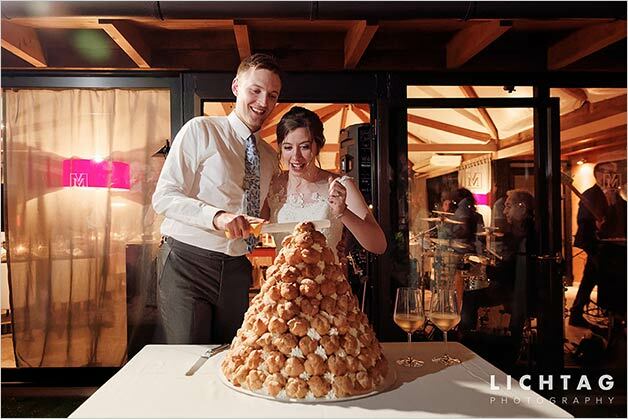 If you are getting married in Piemonte region why not choosing Torta alle Nocciole? This is made with local hazelnuts from Le Langhe area. 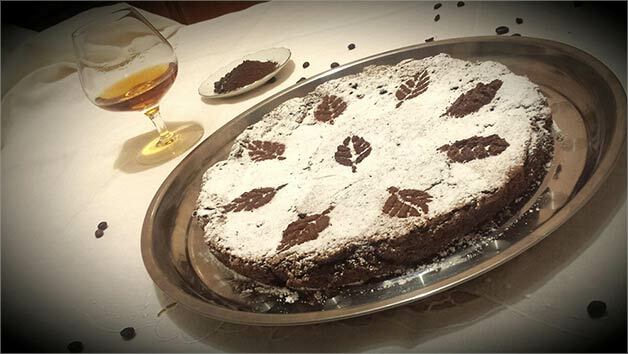 If you are in Emilia Romagna “historical” Torta Barozzi could be the best choice. 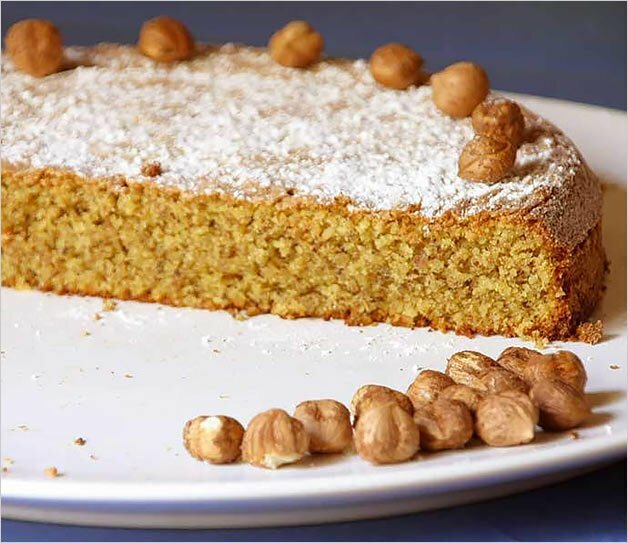 This was created toward the end of the XIX century in Vignola and it is a perfect balanced mixture of peanuts, almonds, chocolate and coffee. 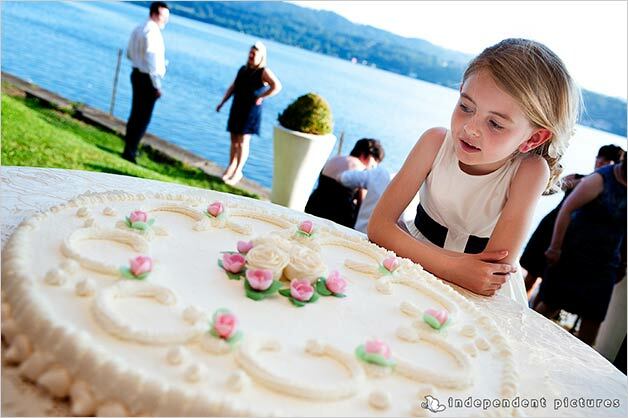 The list of cake flavours and suggestions can be endless! 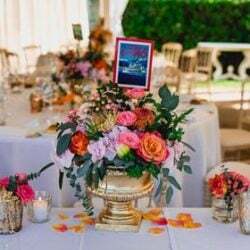 You can contact us to get more ideas! Other regions with an incredible pastries tradition are Campania and Sicily. 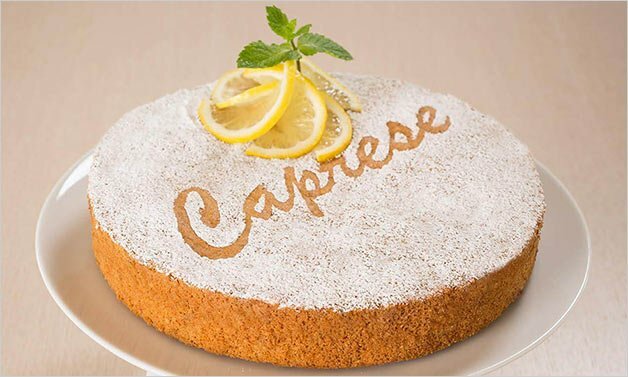 In Campania, where Costiera Amalfitana and Capri island are located, we find one of the most well-known cakes in the world: Caprese! 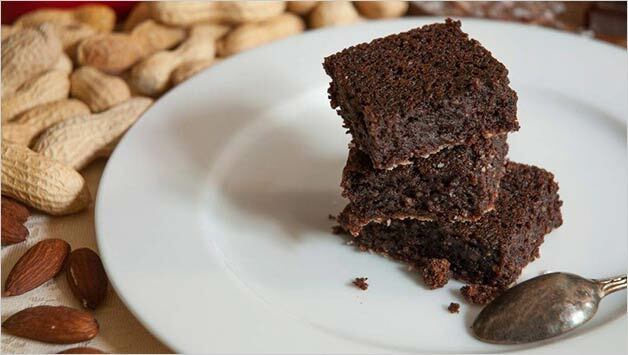 This a flour-less cake made of bitter chocolate and almonds. 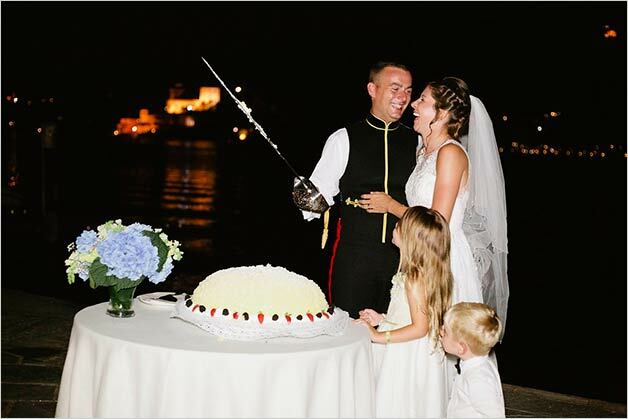 No one can leave Amalfi coast without trying Delizia al Limone which alone is worth the trip! Its lemon flavour and freshness on the palate are simply unforgettable. We cannot forget the Pastiera Napoletana made of ricotta cheese, wheat, oranges, citrus, candied fruits and a pinch of cinnamon. I wouldn’t define it light but… absolutely delicious! 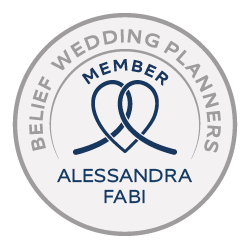 And now let’s go down to Sicily with its magical flavors of fruits, almonds and pistachios. 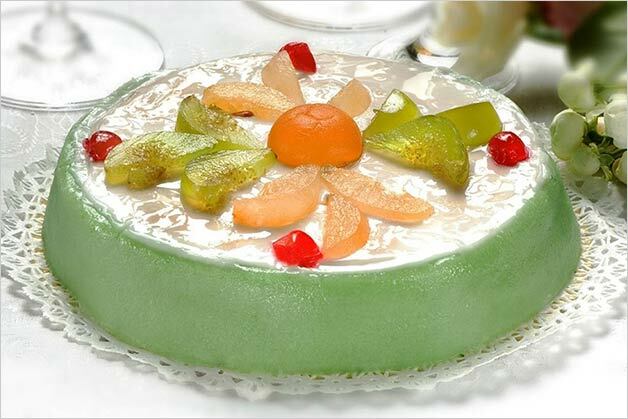 The most famous cakes here are fresh Zuccotto, made with a sponge filled with ice-cream and famous Cassata! 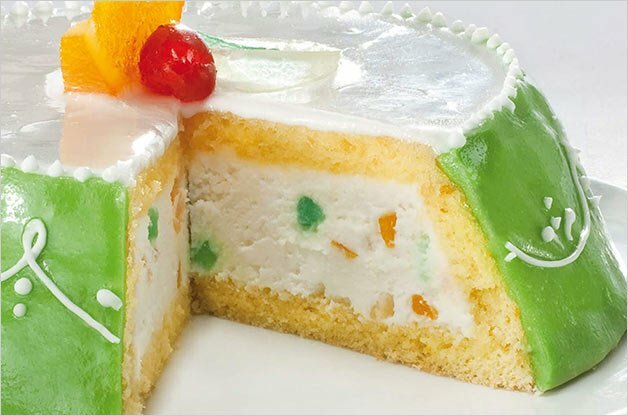 The Cassata Siciliana is a sponge layered cake filled with creamy sugared ricotta cheese and candied fruits, it is covered with icing and almond marzipan that can be colored and decorated in every way. 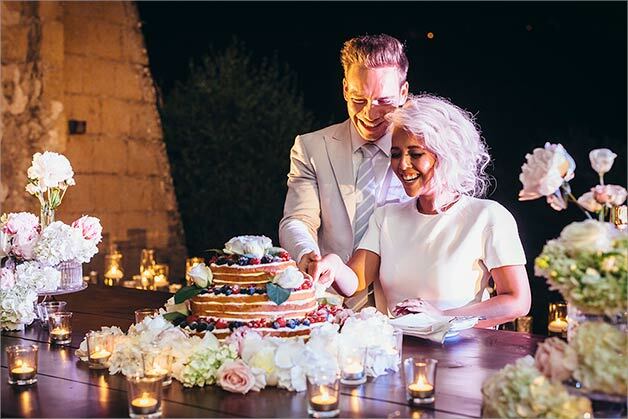 For those couples who don’t want a traditional wedding cake but rather a sweet buffet, you can choose a mix of Italian small pastries. 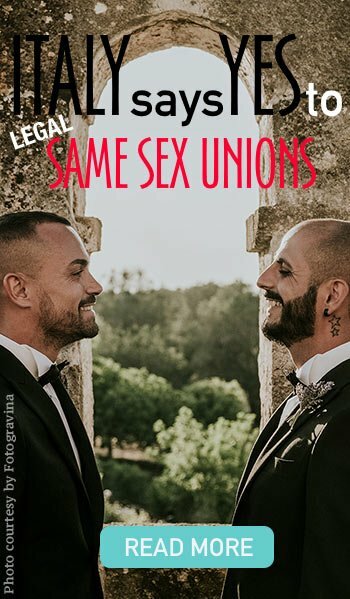 It can be a great surprise! Italian love having all pastries in bite-size versions! 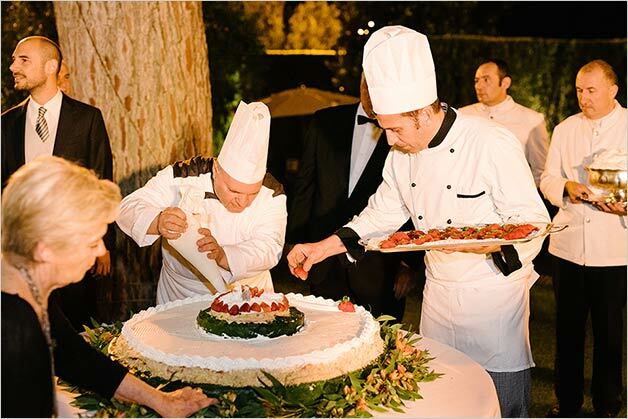 A choice of cannoli, bigné, diplomatici and many others will give to the party an original and uncommon Italian touch. 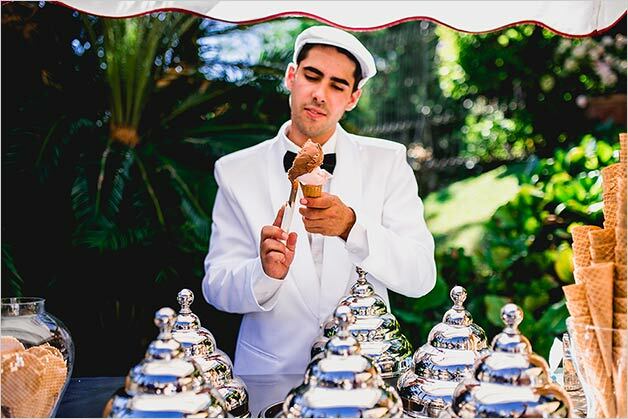 Last but not least… Italian Gelato! 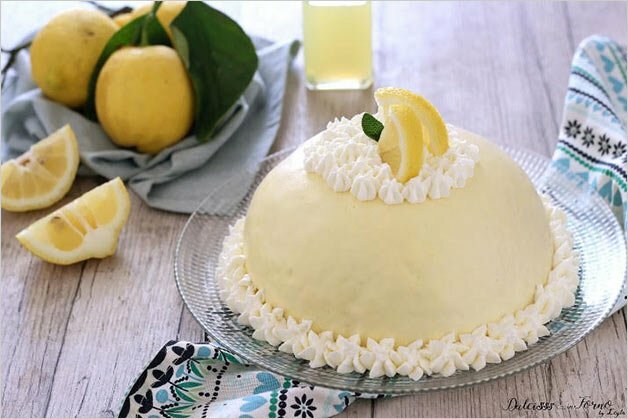 The ideal dessert for a Summer Italian wedding! 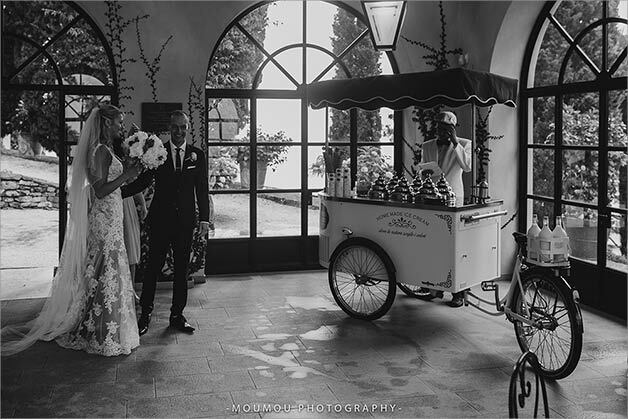 Bride and Groom serving Italian Gelato to their guests behind an old charming vintage Ice-cream cart it is priceless. Now you can choose… which will be your favorite?